As the debate about whether employees or customers come first rages, Bob Thompson gives us his view on the subject. 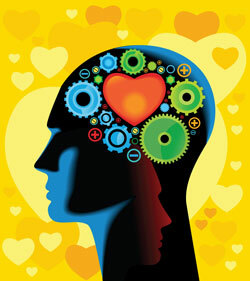 Quick, which comes first: Your heart or your brain? Your brother or your sister? Barring truly incredible circumstances that would make for a good episode of Survivor, you probably would react that these choices don’t make any sense. You can’t live without all your organs and wouldn’t opt to choose between family members. The debate about whether employees or customers come first is equally ridiculous. It’s a loaded question. If you literally put employees first and they don’t add value to customers and the business, you’ll have happy employees right up to the day the business goes under. If you put customers first, give them everything they want and allow them to harass employees, your workforce will seek greener pastures. Smart business leaders don’t use either/or thinking. At the software company Intuit, the strategy is to seek a “win” for customers, employees and stakeholders – at the same time. And it works well. The company has managed to take what most would consider to be boring products for tax preparation, financial planning and the like, and make Intuit a popular brand for consumers and a great place to work. In research for my new book Hooked On Customers, I found many examples of synergy in top-performing businesses. They are adept at finding “and” solutions. At Amazon.com, Jeff Bezos is driven to deliver low prices AND a great experience, while most competitors force you to choose. That’s also the case with employee engagement and customer experience. Imagine your right leg represents your customers, and your left leg represents your employees. Does it really matter if you step first with the right leg or the left? If you keep stepping with just one foot, you’ll spin around in a circle. Alternate steps and you’re more likely to make a successful journey, because you’ll be delivering value to both customers and employees. Stop the madness! The next time someone asks one of these loaded questions, ask them which of their legs is more important, or if they’d like to keep both. Bob Thompson is CEO of CustomerThink Corp., an independent research and publishing firm focused on customer-centric business management, and Founder/Editor-in-Chief of CustomerThink.com, the community dedicated to customer-centric business. Thompson is a popular international keynote speaker, blogger and author of “Hooked On Customers: The Five Habits of Legendary Customer-Centric Companies”.